Questions? We're here to help! Let us know what questions you may have and we will respond as soon as possible! In considering how to promote “National Gum Care Month” in September, four glaring statements came to mind and suddenly the “toothbrush exchange” struck him as a worthwhile investment. • The ADA recommends that people brush at least twice daily and change toothbrushes every three to four months. 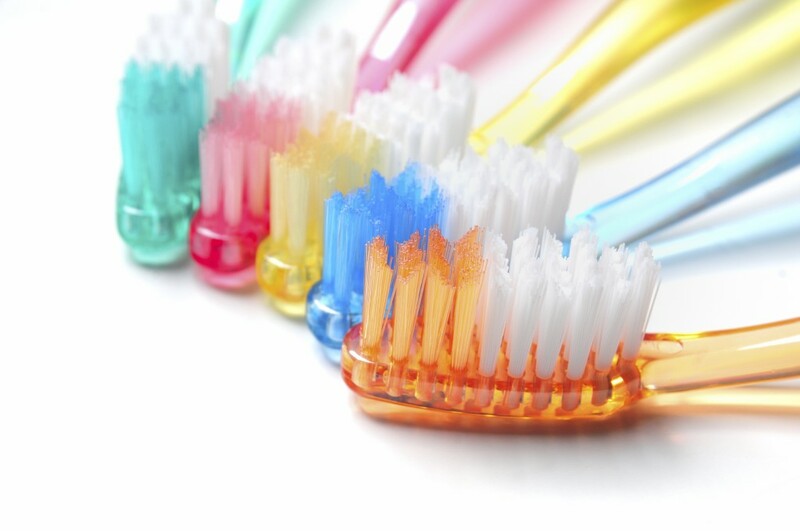 • Studies show that only 1 in 6 people change their toothbrushes as frequently as once per year. • Research shows that crowded teeth contribute to gum disease. Gum disease nearly doubles the risk of heart disease. • Proper oral hygiene habits, once established, become permanent. Get your kids started now! Aug. 10-13, between the hours of 9 a.m. and 5:30 p.m., simply visit Reagin Orthodontics at 401 W. 4th North Street to pick up a new Oral-B toothbrush. If you need more than one, such as for your spouse and/or children, bring the old toothbrushes and Dr. Reagin will swap them, too. As part of the “toothbrush exchange campaign” Dr. Reagin is also going to award two Oral-B Pro 5000 electric toothbrushes, valued at $179 each. To enter to win one of these two toothbrushes, simply visit the practice’s page on Facebook at www.Facebook.com/ReaginOrthodontics, like the “toothbrush exchange” post, and share it with your friends and family. The winners will be selected from all people that have liked and shared the post in a random drawing on Aug. 14, and announced on the Facebook page that same day. Every toothbrush that Dr. Reagin gives away represents, for him, the positive impact that one person can make to the cause of community health. At Reagin orthodontics patients can choose from a splashy array of colors to make fashion statements with their braces. Some patients will coordinate pastels with a wardrobe, or choose signature hues for celebrating holidays while others like to support a cause or express school spirit. While many patients enjoy picking their colors other patients prefer to be less obvious about their orthodontic treatment. We have a variety of options including tooth-colored brackets; self-ligating brackets, which do not require ties to join the wire to the bracket; or invisalign. Dr Reagin is the only premier invisalign provider in Summerville, and that means at Reagin Orthodontics you are getting the BEST! Call today for your complimentary consulation. You Deserve the Best! Many parents assume they must wait until their child has all of his or her permanent teeth in the mouth to have their first orthodontic check-up. The American Association of Orthodontists (AAO) recommends that every child get a check-up with an orthodontist no later than age 7. “I would like to emphasize how important it is that parents understand the value of an orthodontic check- up,” says Dr. Reagin. “By age 7, enough permanent teeth have erupted for an orthodontist to evaluate relationships between the teeth, face, and bite”. At your 1st appointment, the initial orthodontic exam, Dr. Reagin may find that your child’s bite is fine; however Dr. Reagin may identify a developing problem and recommend monitoring the child’s growth and development at a consistent interval. In other cases Dr. Reagin may find a problem that would benefit from early treatment. Evidence shows that approximately 25% of children seen at an initial orthodontic exam can benefit from early orthodontic intervention. When indicated, early treatment may often prevent more serious problems from developing and make treatment at a later stage shorter and less complicated. In some cases Dr. Reagin will be able to achieve results that may not be possible once the face and jaw have finished growing. “A visit to the orthodontist can ease a parent’s mind, too,” notes Dr. Reagin. Through an early orthodontic evaluation, you’ll be giving your child the very best opportunity for a healthy, beautiful smile. Keep in mind that if your child is older than 7, it’s certainly not too late for a check-up at Reagin Orthodontics. Dr. Reagin’s goal is to provide each patient with the appropriate treatment at the most appropriate time. To schedule a complimentary consult with Dr. Reagin call our office at 843-871-4411. Note that a dental referral is not necessary. Are you trying to figure out a perfect Valentine’s Day Gift for your sweetheart? The best gifts are the ones someone would never purchase for themselves, but you know they would love. You’ve probably done a spa day or a golf trip before for that very reason. So what could you possibly dream up that would surprise them? How about giving them the gift of a beautiful smile? 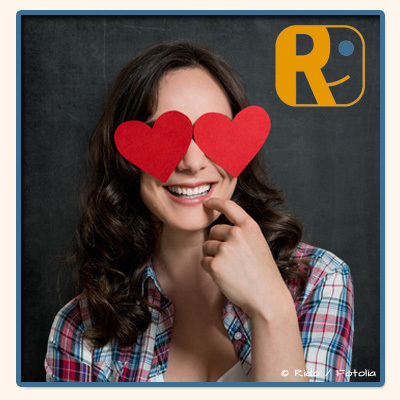 Has your Valentine always wanted to change their smile? Maybe they didn’t have braces when they were younger or maybe they did, but there are some things that still bother them about their teeth. Valentine’s Day is a great time to give the gift of a new smile because it shows you were listening to what matters to your special someone and you are truly giving from the heart. You can even give yourself the gift of a new smile for Valentine’s Day! People buy themselves boxes of chocolates and flowers, why not do something for yourself that you keep putting off? Reagin Orthodontics offers a free consultation to every new patient, so what are you waiting for? Sometimes the phone call is the hardest! Take the leap for yourself or someone else and schedule an appointment. At the consultation Dr. Reagin will take x-rays, do an exam and discuss what each person is looking for in their new smile. He will talk to the patient about their options and in some cases treatment can even start that day! So go on call us today, we promise you won’t regret doing something this wonderful for your Valentine or yourself! What do you need to know about the Herbst appliance? 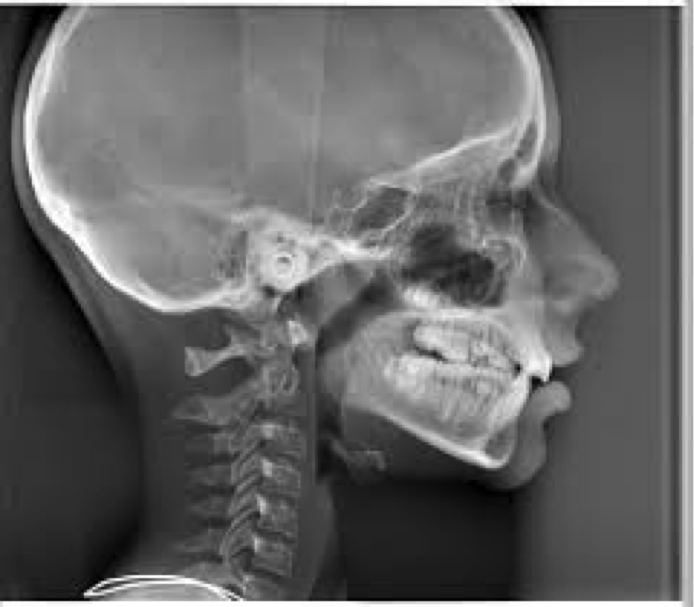 Using a cephalometric x-ray (the one that takes images from the side of the head (see fig 1), an orthodontist can properly diagnose whether the orthodontic issue is skeletal or dental in nature. If the issue is skeletal, the only way to properly address and correct such is by way of a growth modification appliance such as the Herbst. This growth modification should be performed at an “ideal” time to be effective. If done too early, it will not last. If done too late, it will not be effective and jaw surgery will be required to correct the problem. Therefore, if an orthodontist has diagnosed your child’s orthodontic issue as being skeletal in nature, treatment with rubber bands will not provide a solution. Upper airway narrowing is connected to several breathing problems which include obstructive sleep apnea. Upper airway narrowing most commonly occurs in the space directly behind the tongue called the oropharynx. 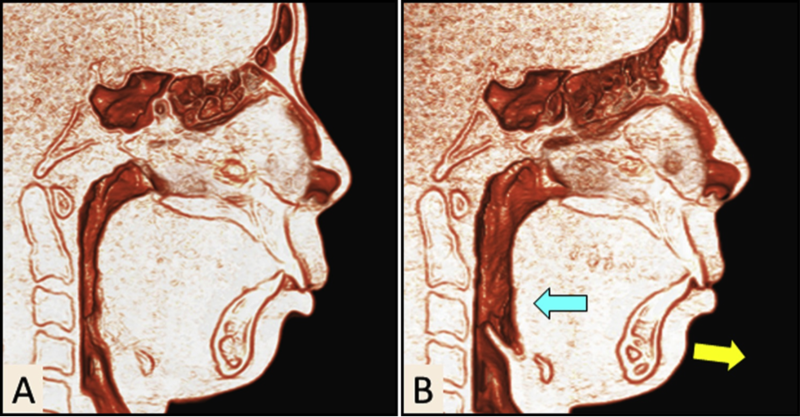 A small or narrow oropharynx is often linked to a retrusive (posterior) lower jaw position. It is worth noting that approximately 25% of the children that visit an orthodontist have a lower jaw that is positioned too far posteriorly which puts them at risk for either having or developing airway problems later in life. In the simplest of terms, the Herbst appliance positions the lower jaw into a more forward position. In clinical research, Iwasaki verified that orthodontic treatment with a Herbst appliance can significantly enlarge the oropharynx, thereby opening the upper airway and minimizing the risk of developing airway issues later in life (see figure 2). Further research by Shutz showed that the Herbst appliance, used in conjunction with expansion of the upper jaw, will increase the volume of the pharyngeal airway and relieve the symptoms of obstructive sleep apnea. Lastly, Pancherz showed thorough additional clinical research that the Herbst appliance is most effective when used near the pubertal growth spurt. It is for the reason that the American Association of Orthodontists recommends that all children have a screening, performed by an orthodontist, at age 7. Therefore, as one can glean, proper diagnose and efficient timing of treatment is essential to effectively treat a child with orthodontic issues of a skeletal nature using growth modification. The answer of “what should we do” in such a case that one orthodontist has recommended a Herbst while a second recommends rubber bands comes squarely down to the doctors’ diagnosis. If, in fact, the problem is skeletal, rubber bands are not a viable solution. Dr. K Britt Reagin has been educated in orthodontic and dento-facial orthopedics and can monitor your child using radiographs to determine if and when your child will benefit the most from growth modification such as the Herbst. Figure 1. An example of a cephalometric x ray used by orthodontist to determine if your orthodontic problem is dental or skeletal in nature. This radiograph can also be used to determine if you child is near the pubertal growth spurt. Figure 2. Courtesy of Iwasaki. A. Shows a child with an obstructed airway prior to growth modification. B. Shows the same patient after the Herbst appliance. Notice then enlargement of the red cavity which is the airway. What are your New Year’s resolutions? Is there a healthy habit you want to add to your life? Is there a bad habit you want to break? Maybe you’ve always wanted your best possible smile? It is never too late to do something for you! Call Reagin Orthodontics to make an appointment for your free consultation. 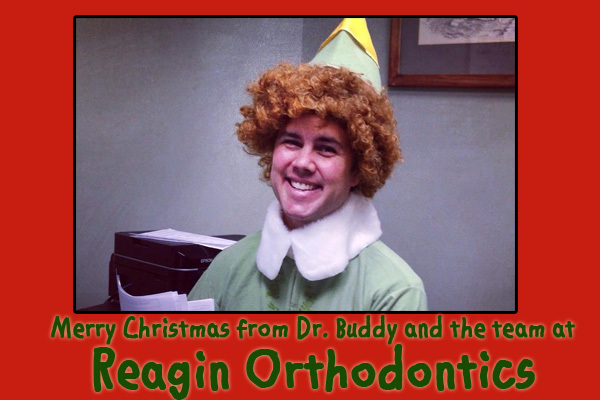 Let Dr. Reagin help make this your best year yet! Trick or treating and fun with friends is on everyone’s mind this week and especially today! It has been a week filled with Character Parades and Trunk or Treats at area schools. Summerville’s annual Scarecrows on the Square decorate our downtown and kids are grinning from ear-to-ear as they count down the minutes until they can go trick or treating and indulge in more goodies in one night than many kids usually have in a whole week! 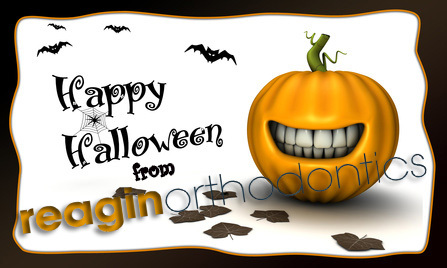 Remember to be safe tonight and keep in mind these treat suggestions if you have braces, a retainer, a palate expander or any other orthodontic appliance. If you are doing some last minute shopping for a party or a quick bite before heading out for the night our post last week had some braces friendly food ideas. If you don’t follow us on Facebook, now is the time to start! It was a GROOVY day for the staff at Reagin Orthodontics yesterday! Click here to see the fun! Have a Happy and Safe Halloween! 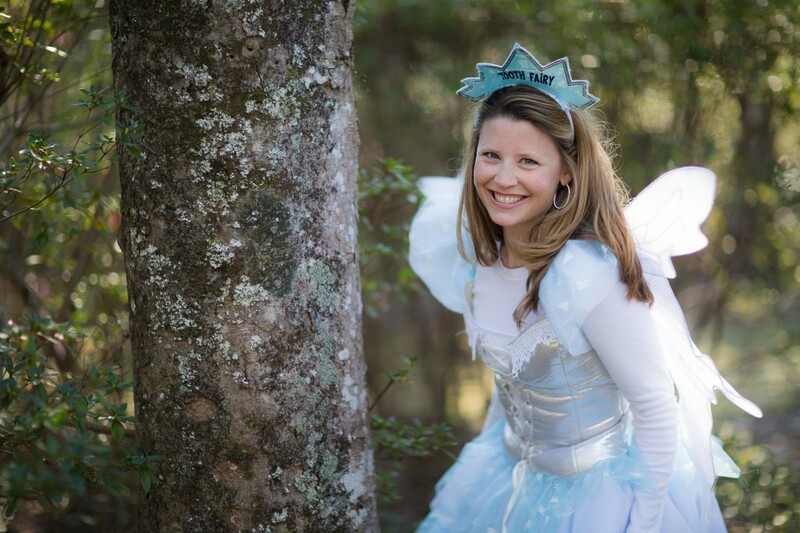 Today is National Tooth Fairy Day and we cannot think of a better time to tell you about Reagin Orthodontics’ very own Tooth Fairy! We love when she flies in to our office bringing her own special magic everywhere she goes. Did you know she can even come visit your school? Educating Summerville’s children about the proper way to care for their teeth is an important lesson that is taught in Kindergarten and First grade classes each year. When the Tooth Fairy teaches part of that lesson, children really listen! Our Tooth Fairy makes the lesson more fun and of course more magical! She comes to your school in her sparkly gown and glittery wings with her wand in hand. Once in your classroom she talks with the children about the best way to care for their teeth and gives each student a chart so can they can keep track of when they lose each of their baby teeth. The children can asks questions about dental care, as well as questions about her. One of our favorite questions that always gets asked is where does she get all the cash she leaves each night! If you would like the Tooth Fairy to visit your child’s school during the 2014-2015 academic school year ask your teachers and administrators to contact Reagin Orthodontics at 871-4411 or greer@drorthodontics.com to arrange a visit. If you child has lost a tooth recently, visit www.drorthontics.com, for a special message from her! 28% of students in grades 6-12 report the same. 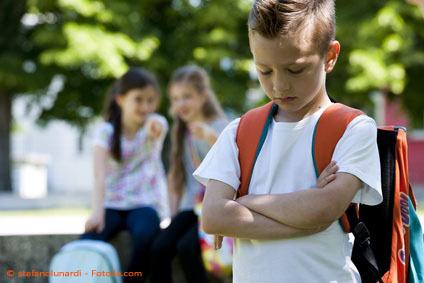 Experts agree that most incidences of bullying occur during middle school. Most of the students report name calling as the most prevalent type of bullying. The American Academy of Orthodontics and Dentofacial Orthopedics conducted a study among sixth graders which revealed the number one physical feature that leads to bullying was the appearance of a child’s teeth. Features such as missing teeth, odd spacing between teeth, shape or color of teeth and prominent upper front teeth were all things children were commonly teased about. The good news is that often something can be done to improve the appearance of teeth. At Reagin Orthodontics we recommend the best treatment plan for your child that not only corrects teeth for improved alignment and bite, but hopefully will help your child feel better about how their teeth looks. We all want children to feel confident. If your child has expressed concern about their teeth or you feel they may be teased about the appearance of their teeth, summer is a great time to be proactive and have a free consultation by Dr. Reagin to determine a treatment plan. Even if treatment is not recommended at the current point in time, your child will feel better knowing that a plan is in place for the future. This can help them face the new school year confidently. You may think your child is too young for an orthodontic evaluation, but that is probably not the case! 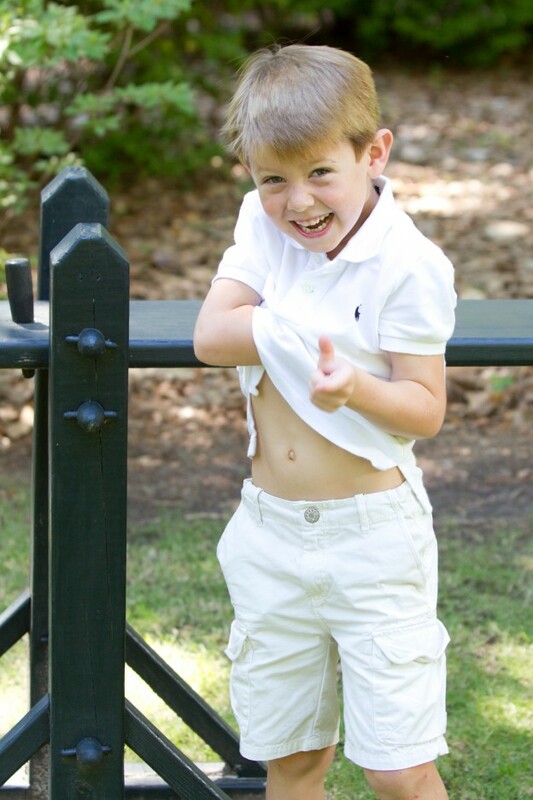 Once your child turns seven a consultation is recommended so early intervention can take place if necessary. Call us and set up your appointment today and get a jump start on the school year and take a proactive approach in preventing bullying due to the appearance of teeth! © 2019 Reagin Orthodontics – All Rights Reserved. Powered by Advyon.